The global team at SAP has proven to be successful at social selling, and the sales and marketing alignment they’ve achieved is one of the main reasons why. To highlight how SAP aligns sales and marketing company-wide, Bernie is joined on this episode by Dr. Marcell Vollmer, Chief Digital Officer of SAP Ariba – Niels Hoogkamer, Sr., Field Marketing Manager at Concur, an SAP Company – Matthew Iacoviello, Head of Sales Technology & Support for SAP – and Phil Lurie, Vice President of Sales Technology for SAP. Each of these sales leaders speaks from their unique perspective about why sales and marketing alignment is vital for social selling success and how this mindset shift has been such a significant success factor for their marketing and sales teams to be effective at social selling. Traditionally, sales and marketing have had very different roles, but the advent of social media has blurred the line between the two. 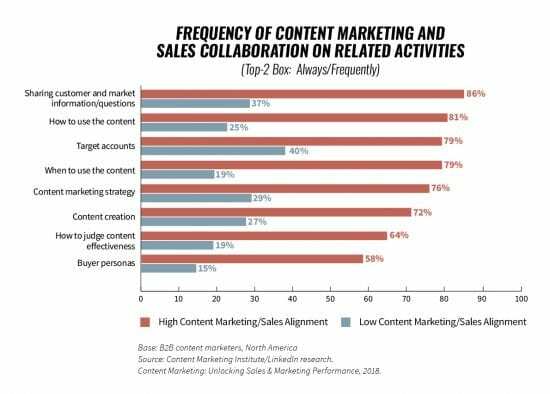 Marketing is doing more of the work sales used to do, and through social selling, the sales department is doing some of the work marketing used to do. That means the marketing and sales organizations have to be very closely aligned, providing the same messages to prospects and customers and working together to move sales conversations into the pipeline seamlessly. In this podcast episode, the SAP team shares how they are successfully making that alignment happen. These sales leaders have also discovered that the technology pieces involved in the marketing and sales process need to be synced so that the alignment of marketing and sales is smooth. This enables the sales team to focus on sales conversations and customer needs. Attention to these details has made sales and marketing alignment an area of strength for SAP. Hear more of how SAP works to keep the two aligned, on this episode of Social Business Engine. There is a very definite mindset shift required to move from a traditional sales approach to the adoption of social selling. Part of that shift is realizing it’s not an either/or decision, it’s a both/and commitment. The SAP team has worked overtime to educate and enable their sales and marketing teams to make the transition successfully. Though many of us can remember life before smartphones, they are an example of how our culture has shifted. Digital is here to stay. Changes of this nature impact the way we do things, including how companies go about evaluating and selecting enterprise software. Today, many aspects of the buyer’s journey are completely different than in years past. Examples are the ways people comparison-shop, search for product, and make final lists of suppliers before they even consider talking with a sales person. It’s no wonder the role of B2B sales must evolve to engage the modern buyer effectively. SAP has made the switch, utilizing the platforms and technologies that have come to the forefront of the sales process, yet maintaining the personal touch that always has to be present in any successful sales interaction. 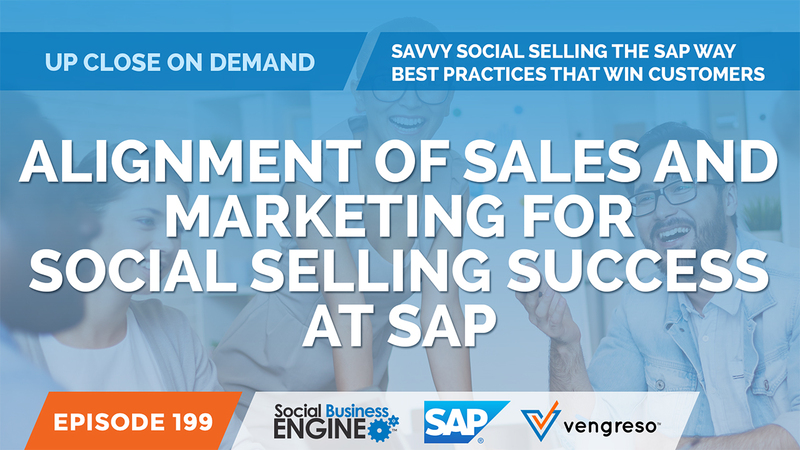 SAP is an excellent example of a company that’s effectively aligning marketing and sales for social selling success. You can hear how they are doing it, on this episode. [0:48] How does SAP see sales and marketing alignment as being so important? [9:09] What other departments at SAP should be aligned with social selling.